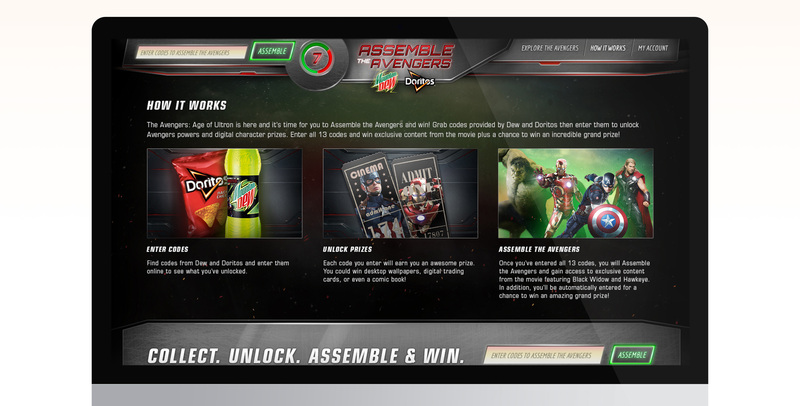 In partnership with Mtn Dew, Doritos and the second Avengers movie, I was tasked to create an international promotional site - enabling specific markets across the world to offer variations of prizing around the characters. The experience needed to lean heavily on fandom and excitement around the collector mindset, and give the fans immersive ways to interact with the heroes. 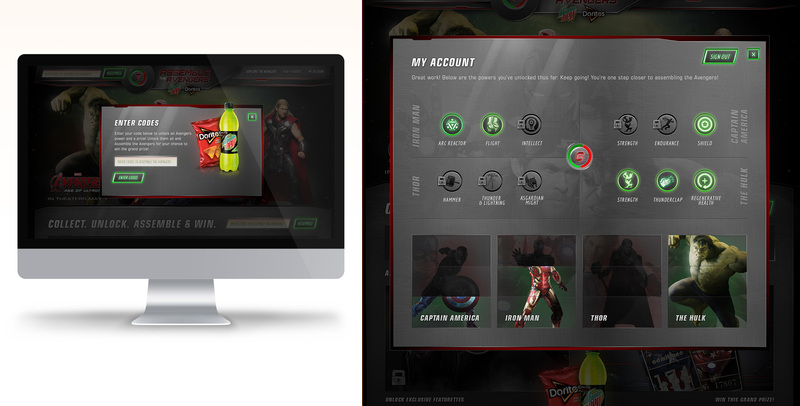 Not only did the experience need to be engaging around and with the Avengers characters, but it needed to be flexible for localization, and work in both desktop and Facebook variations for format and size. The goal of the competition was to create an experience with minimal prizing, where fans would want to continue coming back and participate. 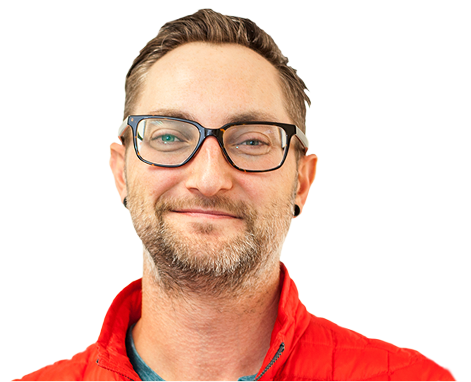 As the Lead Digital Art Director, I worked rapidly through the UX and IA process to quickly land on a structure/architecture and dig into design, where the experience could truly be brought to life in a high-impact, immersive experience. I served as the UX Designer, Visual Designer, Art Director and liaison to the Front End Development Team - guiding the experience into development. Before digging into a full Axure prototype, I explored UX Concepts built in Illustrator and then brought to life in InVision. 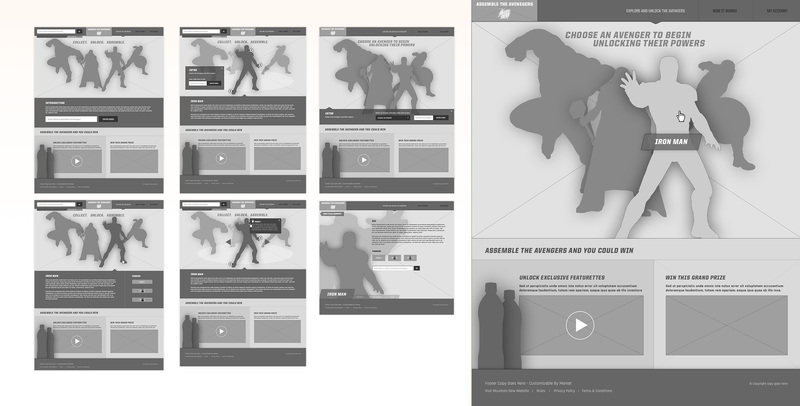 This step helped the client understand some high-level options earlier on, in order to move forward more quickly. You can view the Axure prototype here. 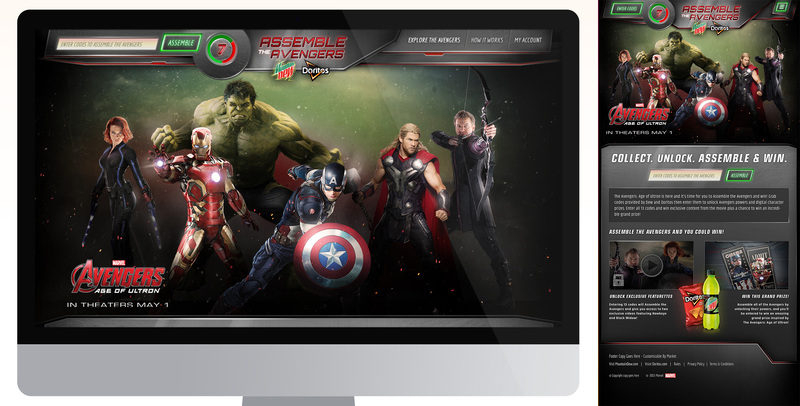 The landing page brought together the Avengers characters in a customizable format - where more or less could be utilized depending on the international market using the promotion. Hovering over each character brought them forward, increasing their detail and size, leading Users to click on them for more details. Once at the character detail level, Fans could see their descriptions and powers - the crux of this promotion. Collect enough points to unlock all their powers and win prizes. Entering codes was the main driving force of playing this game and promotion. Due to the International framework - certain markets featured only Mtn Dew, while others featured Doritos or both products. In the User's Account, a beautiful, engaging display of the Characters' powers was featured. 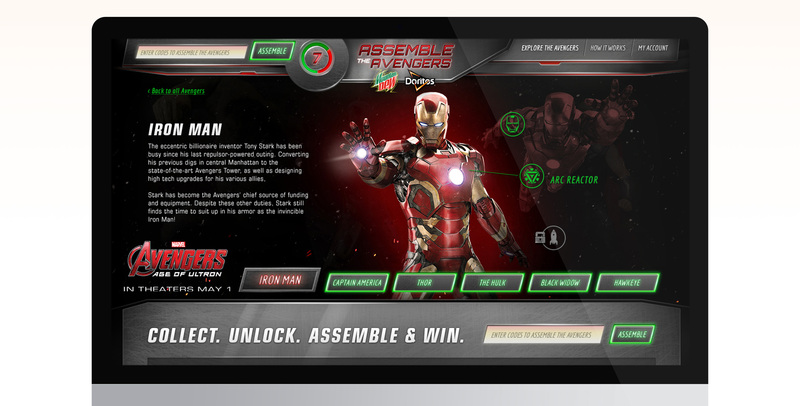 Here, fans could check on which powers they'd unlocked, and view any prizes awarded thus far. Once all the powers were unlocked, fans were treated to a special, early segment of the movie, only available here. Important to any promotion, the 1-2-3 How it works made understanding how to play easy and simple.